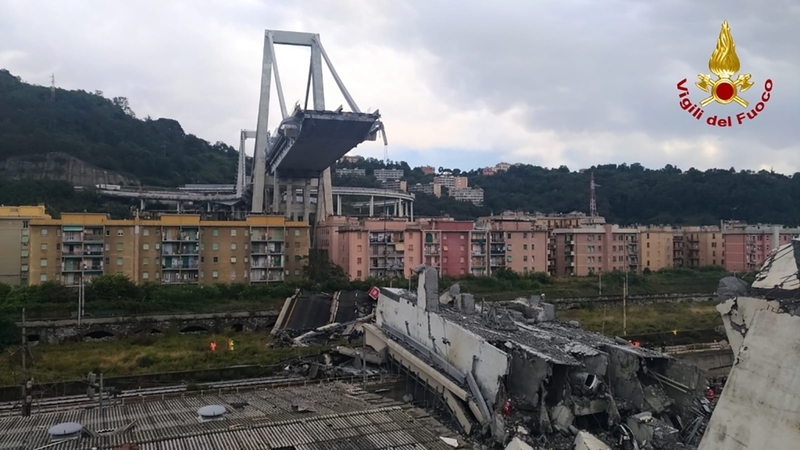 Saturday has been declared a national day of mourning in Italy and will include a state funeral at the industrial port city’s fair grounds for those who plunged to their deaths as the 45-meter (150-foot) tall Morandi Bridge gave way Tuesday. But many of those who lost loved ones declined to participate in the state funeral. Some cited the need to bid farewell in private, while others blamed the loss of at least 38 lives on those responsible for the bridge’s safety. 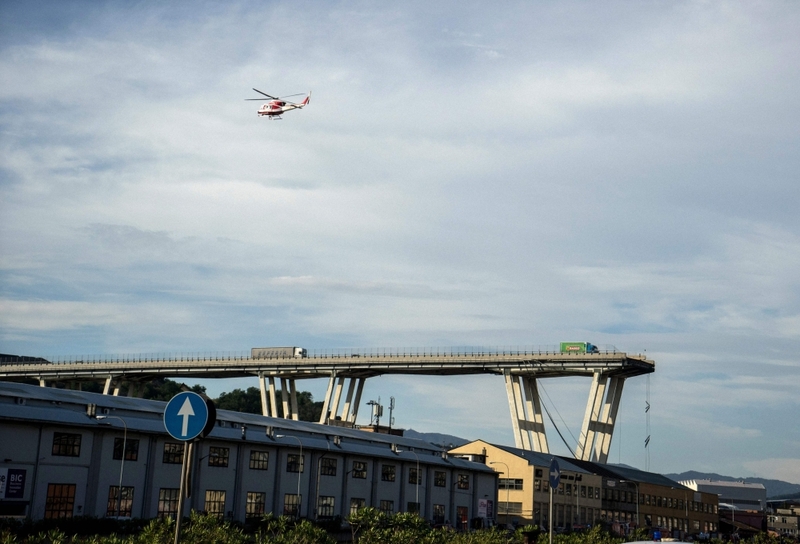 Italy's government on Wednesday blamed the firm that operated the collapsed Genoa bridge for the disaster in which at least 39 people died, as it announced a state of emergency in the region. Search operations, meanwhile, were due to enter a second night with rescuers digging through mountains of crushed concrete. 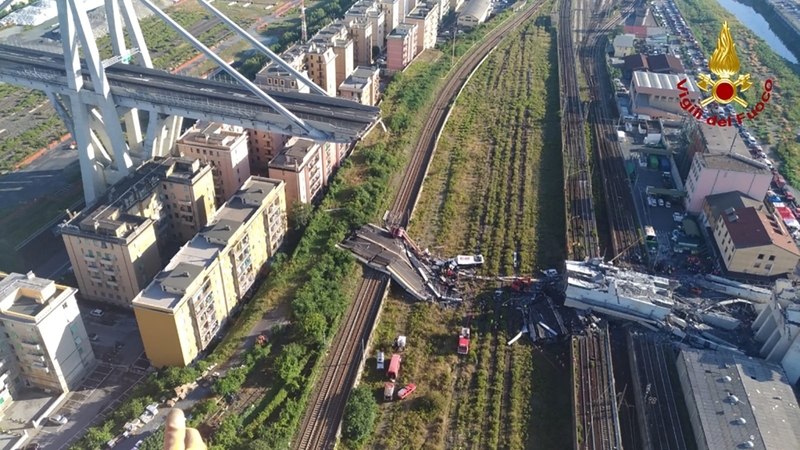 A vast span of the Morandi bridge caved in during a heavy rainstorm in the northern port city on Tuesday, sending about 35 cars and several trucks plunging 45 metres (150 feet) onto railway tracks below. Children aged eight, 12 and 13 were among the dead, Interior Minister Matteo Salvini said, adding that more people were still missing. Sixteen people were injured. The driver of a green lorry left precariously close to the edge told Italian media how he had escaped the "hell" of the bridge collapse. "It was raining very hard and it wasn't possible to go very fast," he told the Corriere della Sera daily. "When a car overtook me I slowed down... (then) at a certain moment everything shook. The car in front of me disappeared and seemed to be swallowed up by the clouds. I Looked up and saw the bridge pylon fall," he said. "Instinctively, finding myself in front of the void, I put the van into reverse, to escape this hell," he added. Three Chileans, who live in Italy, and four French nationals were also killed. 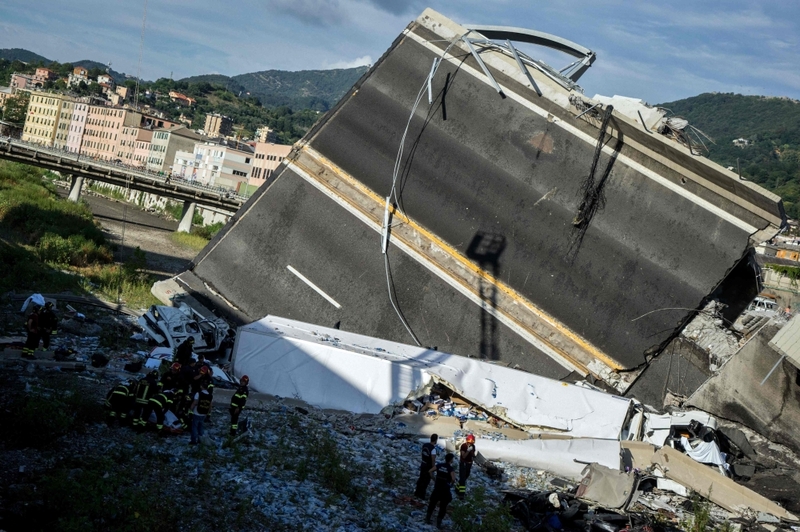 The tragedy has focussed anger on the structural problems that have dogged the decades old Morandi bridge and the private sector firm Autostrade per l'Italia, which is currently in charge of operating and maintaining swathes of the country's motorways. 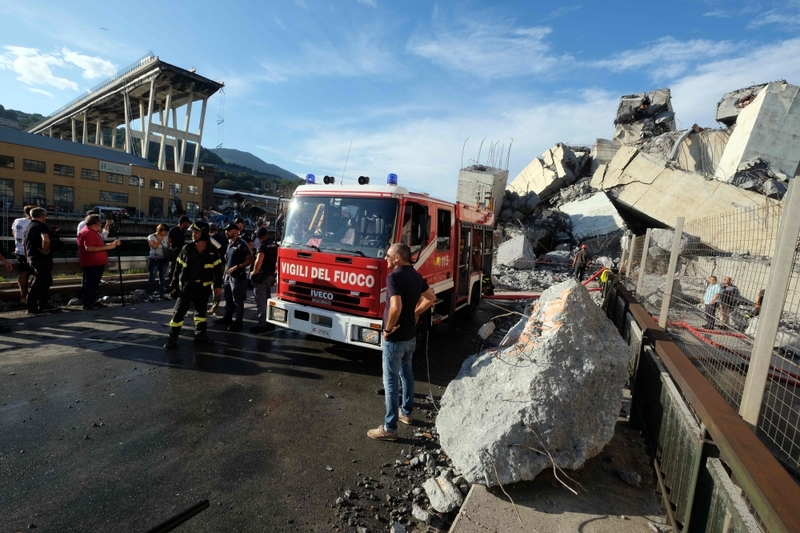 Deputy prime minister Luigi Di Maio said the tragedy "could have been avoided". "Autostrade should have done maintenance and didn't do it," he alleged. Prime Minister Giuseppe Conte also confirmed that his government would push to revoke the company's contract for the A10 motorway, which includes the bridge, while Transport Minister Danilo Toninelli said the company should be fined up to 150 million euros ($170 million). The firm, which said the bridge had been undergoing maintenance work, however, released a statement refuting accusations of underfunding of motorway infrastructure. "In the last five years (2012-2017) the company's investment in the security, maintenance and strengthening of the network has been over one billion euros a year," it said. 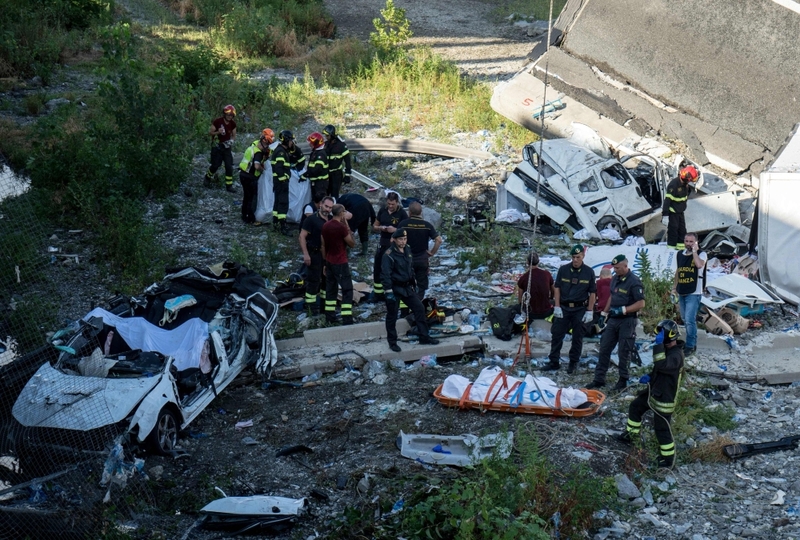 A 51-year-old highway bridge in the Italian port city of Genoa collapsed in a driving rain Tuesday, killing at least 26 people and injuring 15 others as it sent dozens of vehicles tumbling into a heap of concrete and twisted steel. 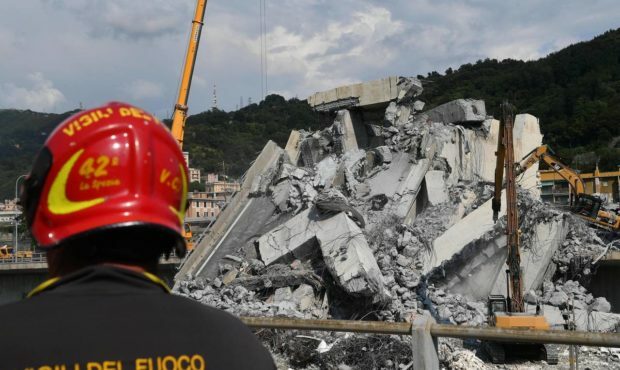 What caused the Morandi Bridge to fall remained unknown, and prosecutors said they were opening an investigation, but had not identified any targets. 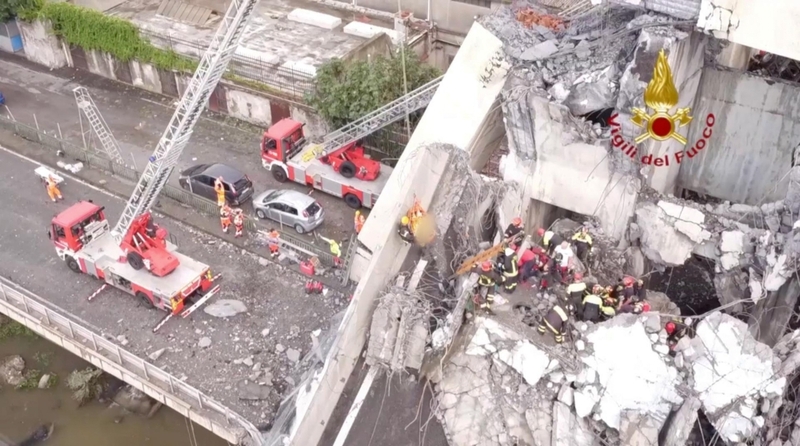 Transport Minister Danilo Toninelli said the collapse was "unacceptable" and that if negligence played a role "whoever made a mistake must pay." The Italian CNR civil engineering society said that structures dating from when the Morandi Bridge was built had surpassed their lifespan. It called for a "Marshall Plan" to repair or replace tens of thousands of bridges and viaducts built in the 1950s and 1960s. Updating and reinforcing the bridges would be more expensive than destroying and rebuilding them with technology that could last a century. 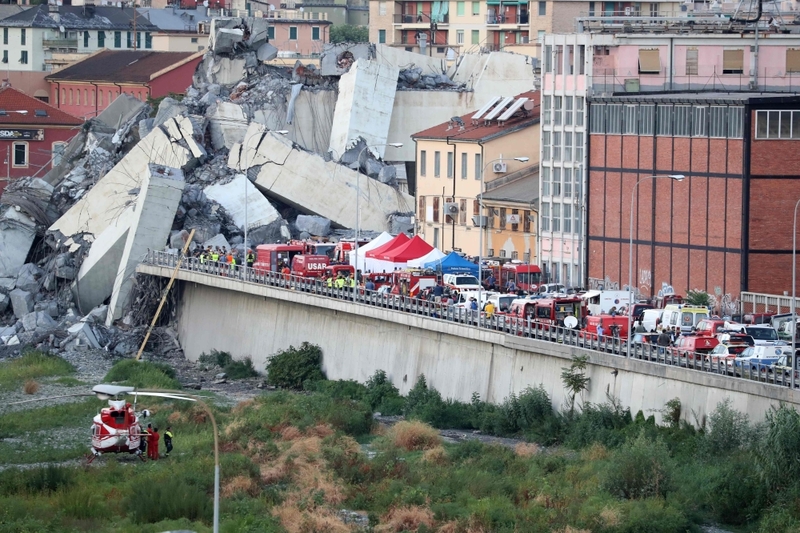 "There has not been sufficient maintenance and checks, and safety work for many bridges and viaducts and bridges in Italy constructed - almost all - during the 1960s," he said.